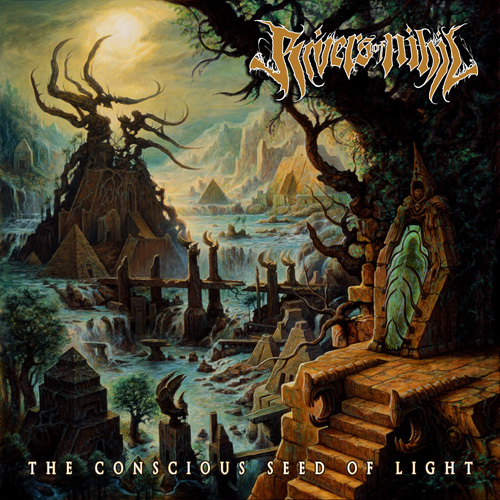 Rivers of Nihil have released the first single from their debut album “The Conscious Seed of Light,” out October 15 in North America and October 11/14 in Europe/UK via Metal Blade Records. “Rain Eater” is available for streaming now at metalblade.com/riversofnihil, where fans can also pre-order the album. The album was recorded in March of 2013 at Mana Recording Studios in Florida with famed metal producer/musician Erik Rutan. The debut single, “Rain Eater,” is available for streaming now at metalblade.com/riversofnihil, where fans can also pre-order the album. This entry was posted in METAL and tagged Dan Seagrave, Decrepit Birth, Entertainment, Erik Rutan, Florida, Metal Blade Records, Morbid Angel, Music, Pennsylvania, San Antonio. Bookmark the permalink.